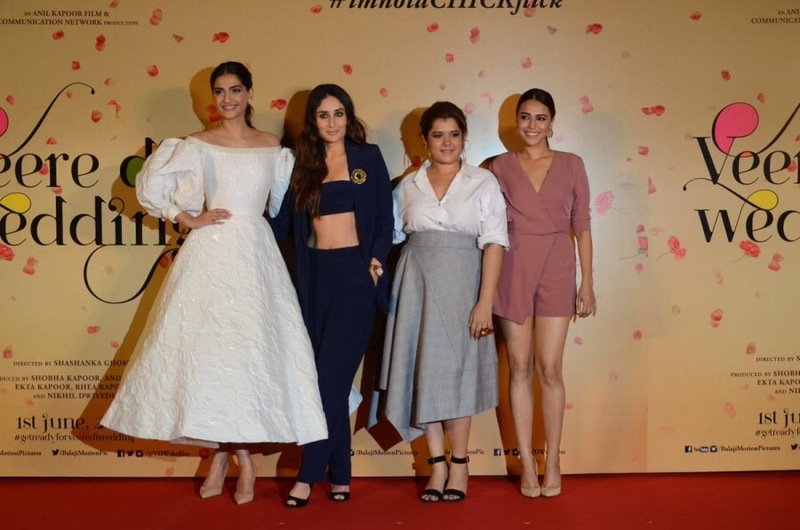 The much-waited trailer of Veere Di Wedding, starring Sonam Kapoor, Kareena Kapoor Khan, Swara Bhasker and Shikha Talsania, has finally arrived. And it appears to be one helluva dramedy set against a wedding (and also a divorce) background. The trailer shows the story of four friends leading lives with many complications. But between the chaos and drama, one thing’s for sure – the veeres are one for all and all for one. Born to be real, not perfect. Unfiltered conversations, with a dash of awesomeness! And this is NOT a chick flick! We loved the trailer and can’t Wait to see more!! Veere Di Wedding, set to release June 1st, is directed by Shashanka Ghosha and produced by Produced by Rhea Kapoor, Ekta Kapoor and Nikhil Dwivedi.